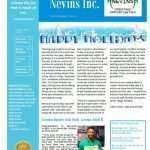 Thanksgiving is behind us and we now look forward to a joyful season and the new year, because as always it’s a wonderful time of the year at Nevins, and we will continue to celebrate through the month of December. 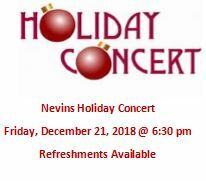 I want to personally invite everyone to our Annual Holiday Concert that will be held on Friday, December 21st. Invitations will be sent out soon. Our Music Director has been working very hard creating a program that will include our chimes chorus, holiday carols, and a play directed by our very own Natasha Young. Nevins annual Holiday Charlotte Latin Dance will be held on December 19th. 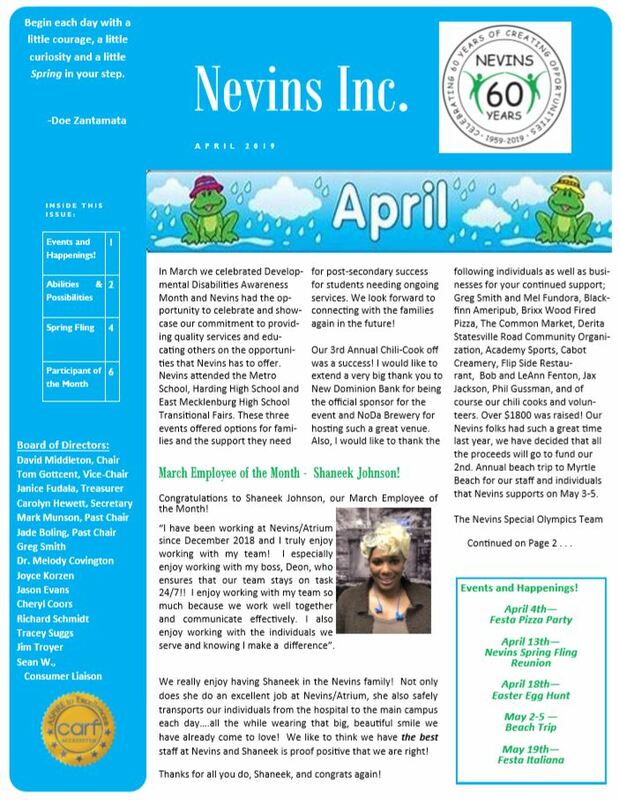 Charlotte Latin School has continued to maintain their long term commitment to Nevins and we sincerely appreciate their support of our mission. If you have never attended, you are missing out! This annual event is what all of our participants and staff look forward to. 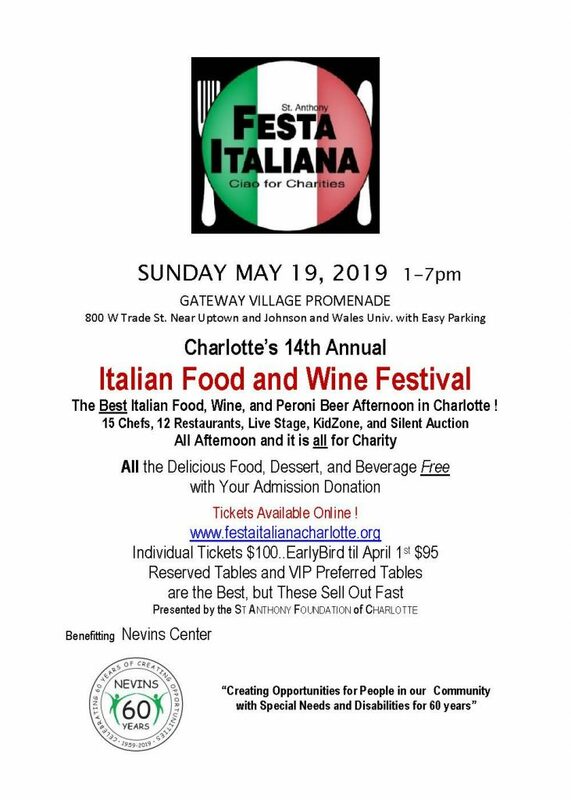 The Charlotte Latin students put a lot of effort and passion into this event to assure that everyone has a blast! 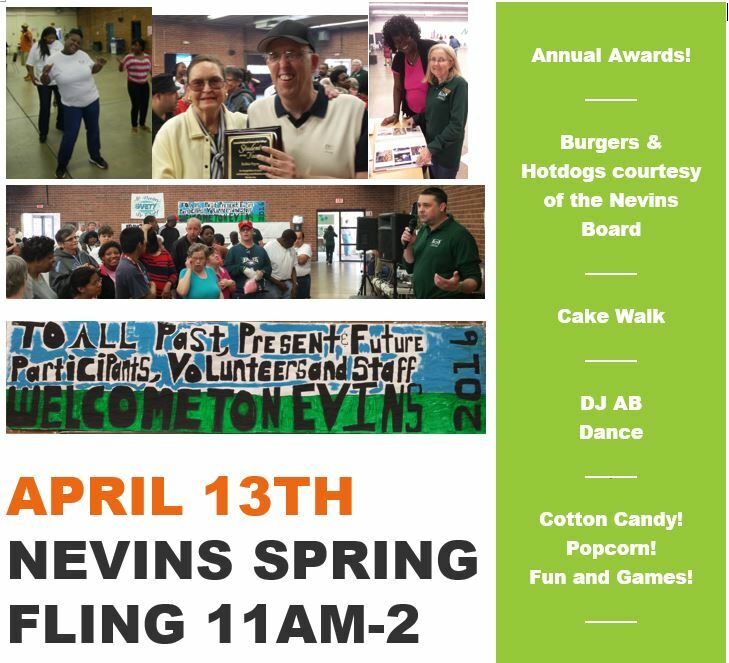 Nevins will be sending home invitations to all participants very soon, all participants past and present are welcome to attend. I think it’s important to highlight our most recent renovation project in November. Chase Nieden is a boy scout and family friend of one of our participants. To attain his Eagle Scout merit badge, Chase built and installed new benches for our deck that overlooks our garden, as well as replaced the lattice on the seating area in front of the Baucom building. We have already received several compliments, from staff and families. Thank you Chase, and congratulations! 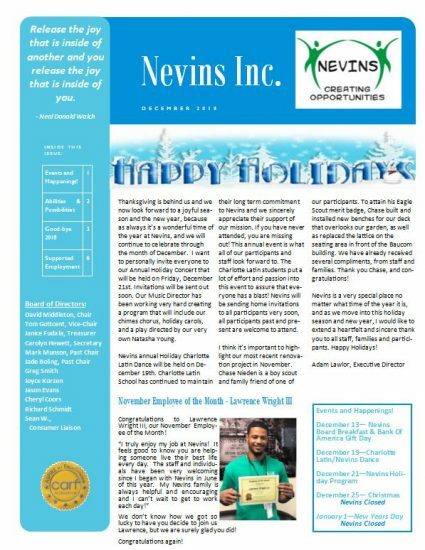 Nevins is a very special place no matter what time of the year it is, and as we move into this holiday season and new year, I would like to extend a heartfelt and sincere thank you to all staff, families and participants. Happy Holidays!